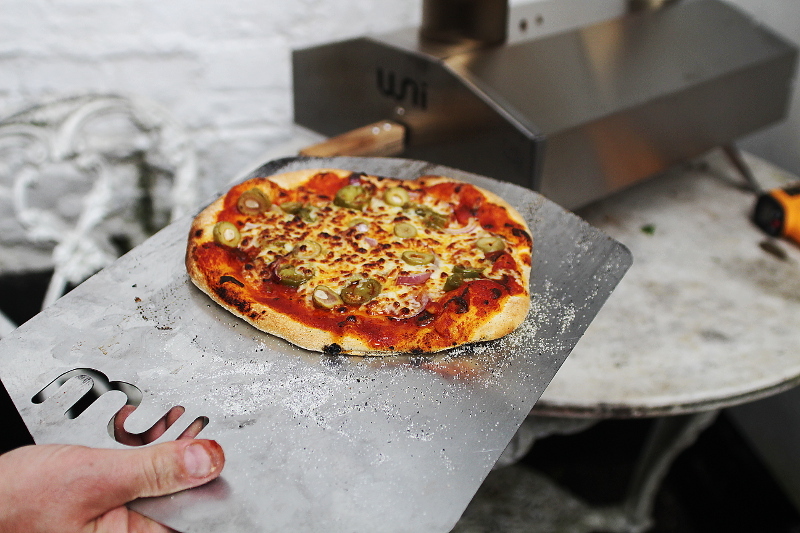 I recently got the chance to have a play with a friends Uuni 2 Wood Fired Pizza Oven, and thought I’d write up a quick review of my thoughts, having cooked on it. 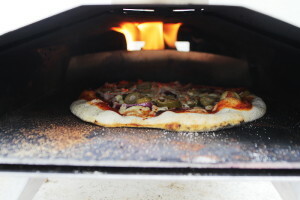 A really impressively simple design, utilising wood pellets fed through a pellet hopper, stainless construction, the oven gets hot super quick, around 10-15 minutes we were getting 350-400 deg C on the aluminium hearth. Ready to cook on so quick, due to the low thermal mass this makes it easy to bang out pizzas, they cooked within a couple of minutes, requiring a bit of attention to makes sure they didn’t burn. The first pizza was really good with excellent characteristics of a wood fired oven, puffed up crust, leopard skin char on the base. 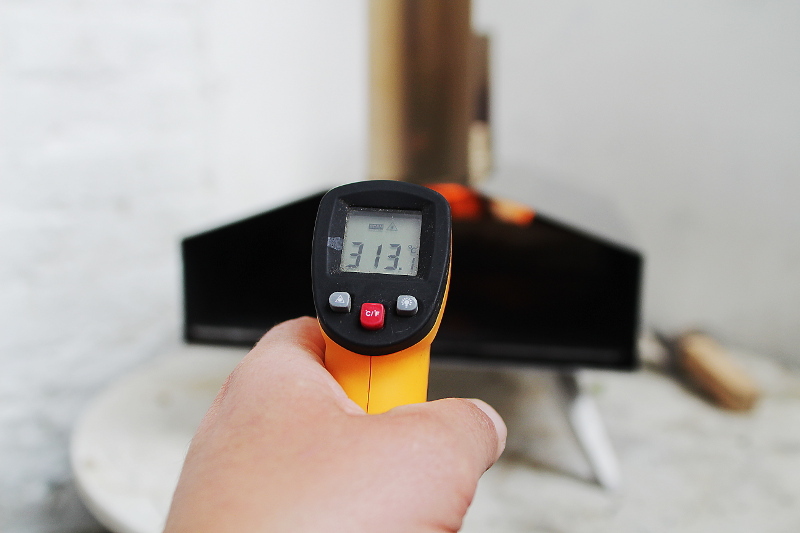 Because of the low thermal mass of the base plate, I think you need to leave a few minutes between pizzas, if you cook too quickly the base wasn’t quite as crisp. The top heat was just perfect, giving a lovely melty cheese, all in all a very good balance between top and base heat. I think it would be worth checking whether a heavy steel plate would make a difference to the heat of the base, and could be an experimental mod, but would add significantly to the weight of the unit as a whole. 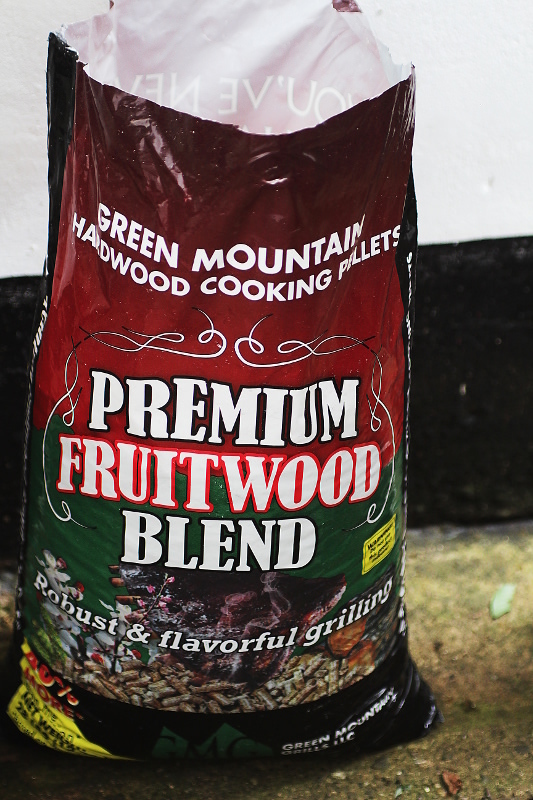 The pellets aren’t too expensive you can get cheap ones, but these fruit wood pellets were awesome for £35 for 28 lb which would keep you going a fair while. The market for these portable pizza ovens is huge, due to their portability, quick heat up time, and good quality pizzas, I liked this and it is definitely a bargain for £189.